Havells has an interesting stock market chart. Lagna is Taurus and Yogakaraka Saturn is in the Lagna! 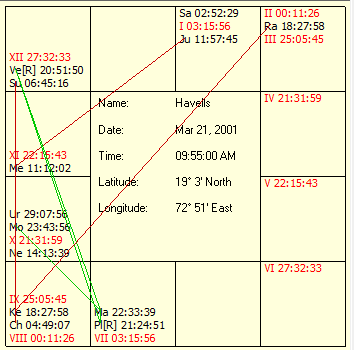 ( He also has a dualistic 12th house role).lagna lord Venus is in the 11th and is exalted. Fifth lord Sun, is also in the 11th, with Venus.So the stock has great performance potential.Jupiter and Ketu are troublesome, since they represent 8 and 12 houses. Since Mars owns 7th house,it implies neutrality. 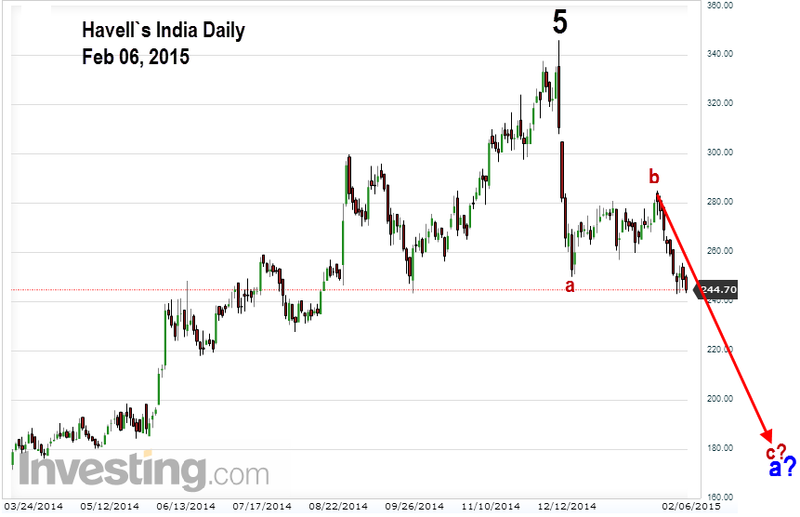 Currently Havells is going through Rahu dasa, Saturn anthara and Mars sub period. Rahu is in Moon star in the 5th.Saturn is in 7th and Mars is in Jupiter star which is a malefic. 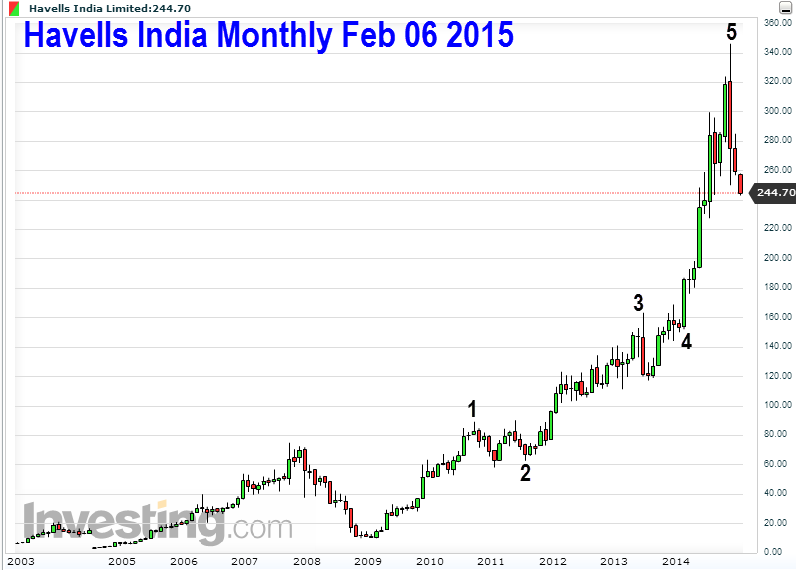 Long term wave counts suggest that Havells has made a top.Correction has started currently. Daily chart shows the wave counts broken down ...we seem to be in wave c of a, in the downtrend.